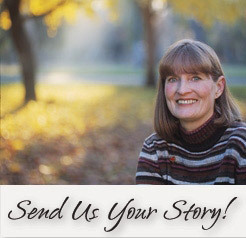 Susan found out that she needed a kidney transplant due to a rare kidney disease called Focal Segmental Necrotizing Glomerulonephritis. She was on dialysis for 3 ½ years before receiving a kidney on June 1, 2005. Through the generosity of a young man’s family, she was given the gift of life two weeks before her daughter’s wedding. As her daughter said at that time, “God’s greatest wedding gift to me was sending an angel to give the gift of life to you”. Soon after her transplant, Susan decided to give back to the community for her incredible gift, and started volunteering to increase awareness and education of organ donation in Southern New Mexico. She found that most people do not know the simple basics of signing up to be a donor and how important it is to speak to their family about their decision. She says that being actively involved has been one of the most fulfilling things she has done in her life. She believes that by volunteering she can inform people about life-saving donation and in some way return the favor to her donor’s family by helping to pay it forward and helping to save the lives of others!